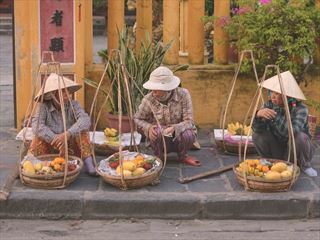 Vietnam is easier to travel around than you might think and many choose to see the country by combining a stay in both of its key cities (Hanoi in the north, Ho Chi Minh City in the south) with a coastal stay in the middle. This wonderful Vietnamese adventure also includes the UNESCO World Heritage site of Halong Bay, one of Vietnam's most alluring attractions. 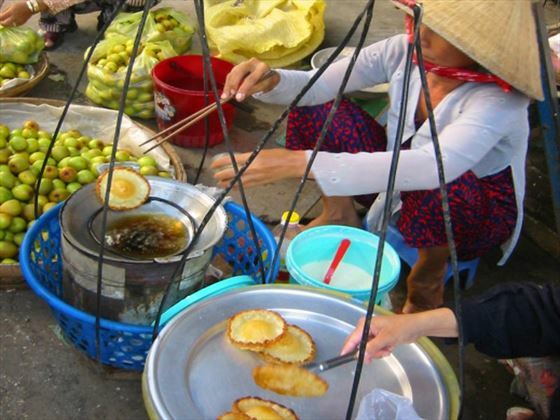 There is no better way to explore this natural wonder and to see how the Vietnamese go about life in the bay than on an overnight cruise; with enough time at sea in the calm waters to cruise past the busiest water traffic, sit back on the deck with a cooling drink and contemplate the breath taking views. 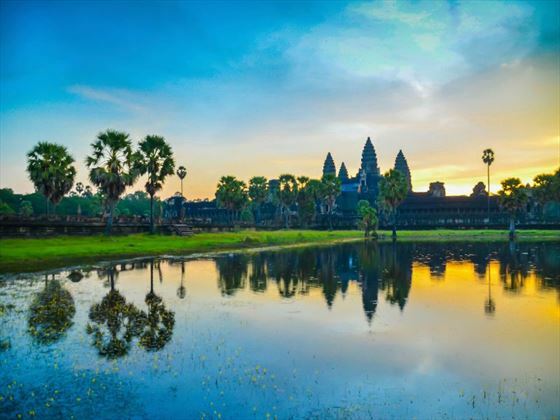 With the ease of a short flight to Siem Reap, this is a perfect opportunity to add a side trip to neighbouring Cambodia to see first-hand the ancient monuments of Angkor Wat. 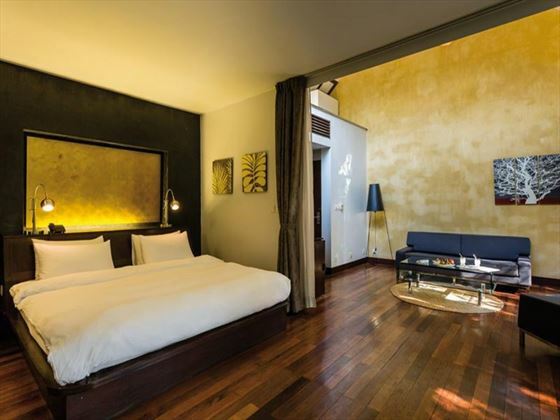 This is a luxury itinerary with a wonderful, carefully curated selection of accommodation, a choice of flights with quality airline partners, private transfers throughout and a luxury ‘junk’ boat adventure in Halong Bay. 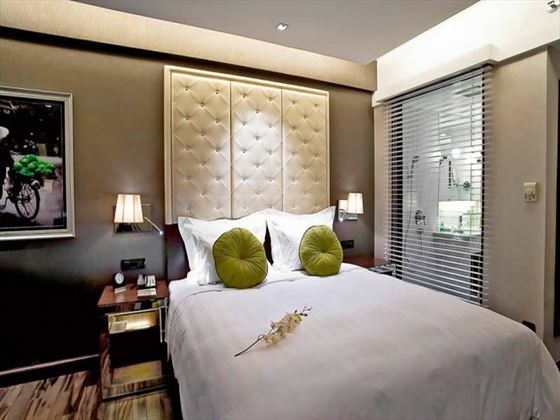 This is merely a suggestion based on our experience and we can amend the chosen hotels and duration to suit your needs and budget; contact our experienced staff to request a tailor made quote (TM). 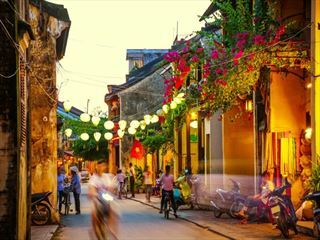 Fly into Hanoi from London on an overnight flight, where you will be met by a private driver for the transfer to your Hanoi hotel. 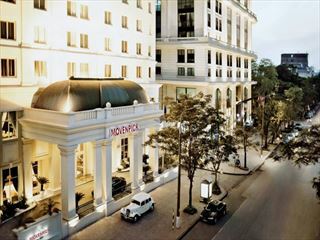 Stay 3 nights at the Movenpick Hanoi, a perfect base for visiting the museums, art galleries and colonial architecture in this fascinating city. 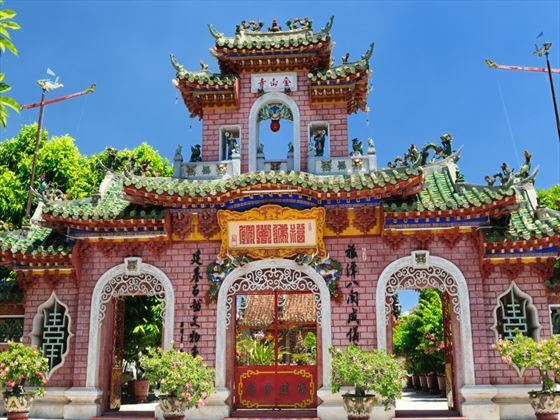 After returning to shore, drive back to Hanoi airport for a short flight to Dha Nang, where you will met and transferred to your hotel in the coastal town of Hoi An. 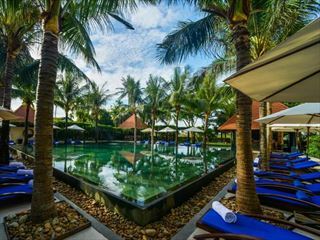 Anantara Hoi An offers a riverside location with relaxing pool, fine dining and easy access to the Chinese influenced town and its wealth of cultural attractions. 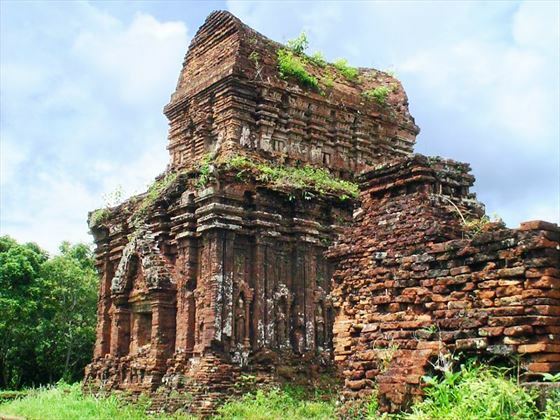 Fly from Dha Nang directly to the town of Siem Reap in Cambodia (approx. 2 hr), gateway to the ancient monuments of Angkor. A 15 minute transfer will take you to Heritage Suites, a wonderful oasis in town, perfect for resting between sightseeing and within walking distance to restaurants and shopping. There are many different ways to view the archaeological park, early morning is always recommended to beat the heat, with a return to your welcoming pool in the afternoon. 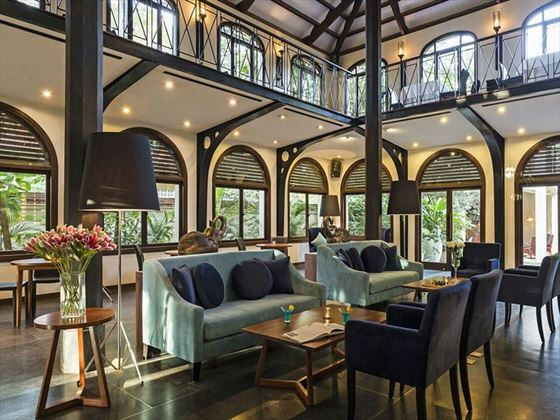 Return to the airport at Siem Reap for your flight back to the UK. Speak to your travel consultant to pre-book excursions and tours, with all the planning taken care of you are free to enjoy every moment of your trip. 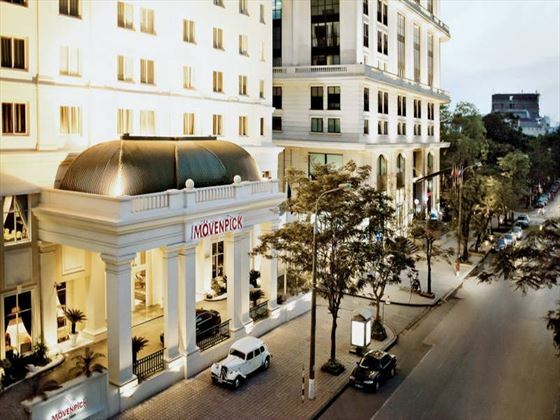 Once inside the grand French façade of the Movenpick Hotel you'll discover a clean, bright and sophisticated approach to both accommodation and customer service with a good choice of dining, fitness and well being facilities to help you ease into the eclectic pace of Hanoi. 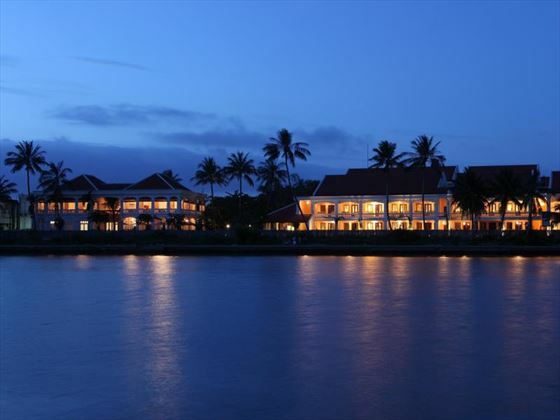 With numerous cultural sights right on your doorstep, including pagoda filled lakes, French colonial architecture and national heritage museums, the Movenpick presents a superb setting from where to get out and explore with a good choice of comfortable guest rooms to welcome you back to base. 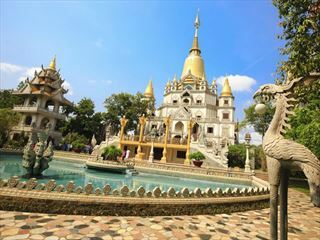 French style, Asian service and no end of things to do, all adds up to an excellent opportunity for couples who intend to experience Vietnam's capital city in style. With an enviable location along the banks of the Thu Bon River and with the historic old town right on your doorstep, the Anantara Hoi An is difficult to beat. 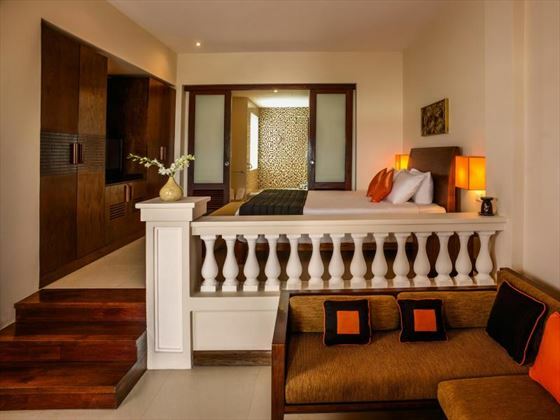 All rooms are spacious with additional relaxing outdoor areas. The pool, whilst not huge (approx. 20sq m) is lovely and the perfect antidote to a morning’s shopping and wandering of the old town. Incredibly friendly staff, a vibrant bar (Murphys) and one of the nicest breakfast views anywhere, this is the ideal resort to choose for those who want to be part of this wonderful city. 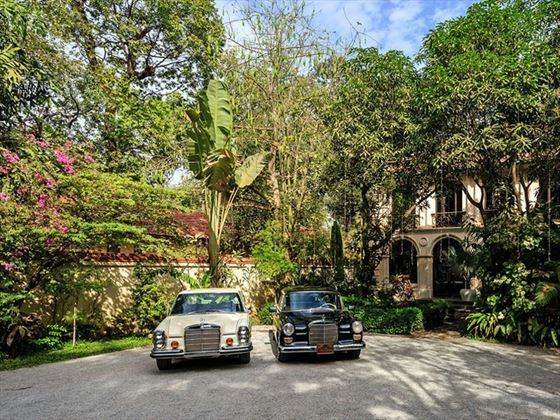 Great for families and couples alike.